20%-100% Off Promo Codes Coming to Plum District Shoppers! Sign up Now to Get Yours! 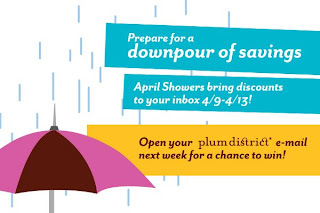 From 4/9 to 4/13, Plum District will be emailing promo codes worth anywhere from 20% to 100% off any of their deals to all members! If you haven't signed up for their emails, all you have to do is create an account. You will get one email a day with that day's deals.